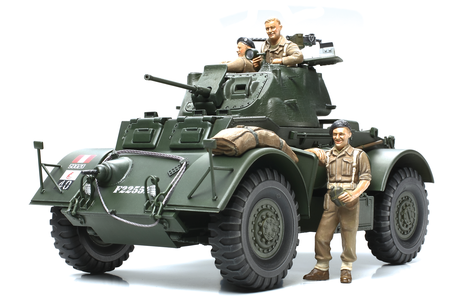 The Ford Motor Company originally designed the T17E1 4X4 armored car to meet a U.S. Army requirement. Powered by two Cheverolet 270 engines, the vehicle was armed with a 37mm cannon turret and 3 machine guns - one in the hull, one coaxial with the main gun, and one on the turret for anti-aircraft defense. 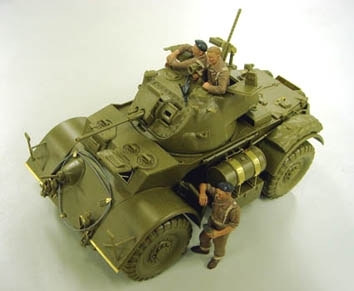 The arrival of the lighter M8 Greyhound meant that the U.S. Army was no longer interested in the T17E1, but other Allies such as Britain and the Commonwealth forces found the vehicle useful and named it the Staghound. They entered service in Italy in 1943and served until the end of the war. After WWII, they still saw action in areas like the Middle Eastand Central America with various armies. 1/35 scale Italeri assembly model kit of the British Staghound Mk.I Armored Car. Distinctive angular hull is accurately reproduced and features detailed leaf spring suspension. Side hatches and turret hatches can be posed in opened position to reveal interior details such as turret basket, radio, 37mm gun, and coaxial machine gun. Canvas rolls, jerry cans, and roof-mounted machine gun included. Precision-made photo-etched parts set included for that extra bit of realism. Includes 5 types of markings. 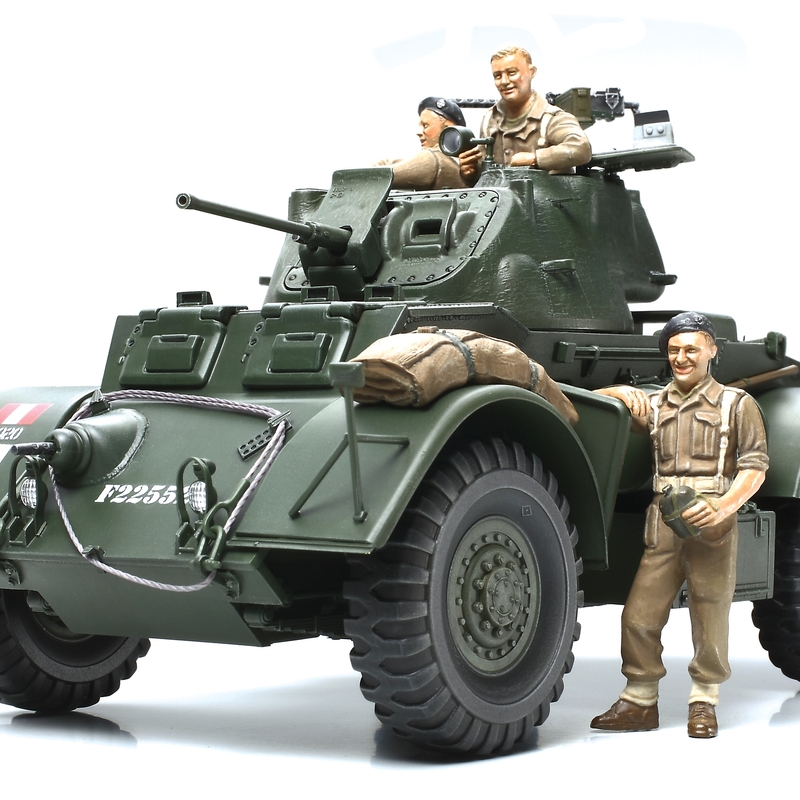 Also includes 3 Tamiya British infantry figures, providing excellent value and instant diorama creation straight from the box. Kit comes in all-new Tamiya original packaging.